This classic home offers the serenity of a hills setting at a close-in location just blocks away from shopping and dining. New landscaping and fresh exterior paint introduce a welcoming entrance with traditional foyer and spacious living room. Fine hardwood floors, original to the home and in pristine condition, extend through the living, dining, and family rooms and are accented by new interior paint and two walls of natural brick, one housing a wood-burning fireplace. An updated kitchen with all new stainless steel appliances overlooks the open concept dining/family, creating an ideal setting for gathering and entertaining. Filling the home with natural light and energy efficiency are updated double-paned windows throughout. The home's personal accommodations compromise 5 bedrooms and 3.25 baths, offering flexibility to move right in or modify to expand suites. Completing this lovely home is the outdoor setting with unusually large lot with paved patio, elevated deck, and crushed rock walkways. 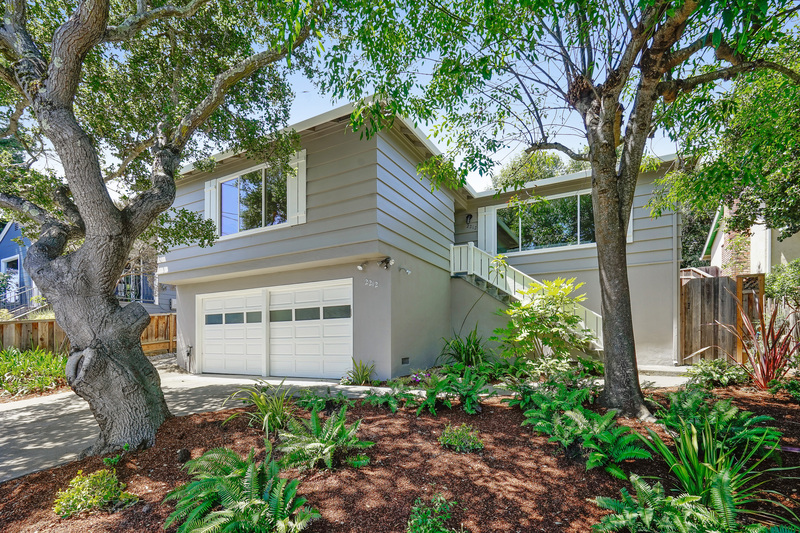 To top it all off, this home has access to highly acclaimed Belmont schools, just one mile or less away, and is only minutes to Highway 280 for easy commuting to San Francisco or Silicon Valley.